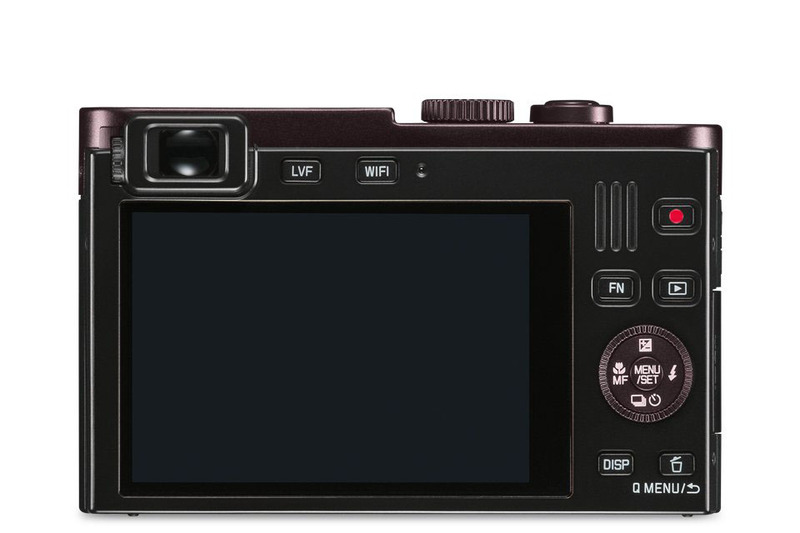 Leica has introduced a new compact for enthusiast the Leica C, with a 12MP 1/1.7″ MOS sensor. Other features include a 28-200mm equivalent F2.0-5.9 zoom, 200k dot EVF, Full HD movie recording, optical image stabilization, built-in Wi-Fi, NFC and RAW format recording. It’ll be available in October in ‘Dark Red’ and ‘Light Gold’ finish. 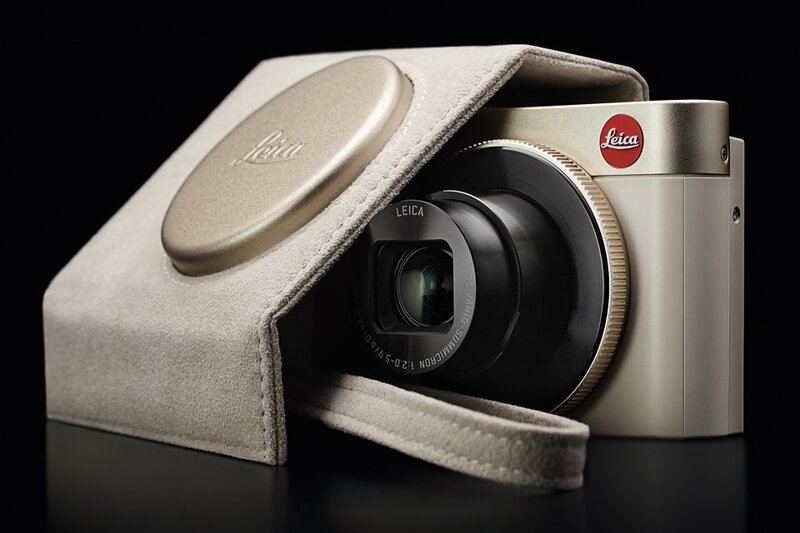 Solms, Germany, 8 September 2013: Leica Camera is proud to present the Leica C, the first model of a new line of Leica digital compact cameras that every stylish, fashion-forward consumer will want to own. A first in Leica’s impressive history of compact cameras, the Leica C camera offers Wi- Fi and Near Field Communication (NFC) which not only allows for remote access of images and videos from a smartphone or tablet but enables the user to view images and watch videos being captured by the Leica C in real-time from their smartphones. Its technical features are impressive, but the sultry beauty of the Leica C is in its slim, sophisticated form. The elegant body of the camera is the work of Audi Design, who were also commissioned to develop the unique range of camera accessories for the Leica C. The Leica C is available in two stunning finishes—champagne and bordeaux—and is complemented by a range of accessories in premium materials that highlight the distinctive, eye-catching looks of the new Leica compact camera line. The perfect complement to the Leica C’s well-designed and stylish look, Leica is offering a range of specially designed, perfectly finished, premium matching accessories. The range currently features five different options of fashionable bags and cases: the Leica C-Clutch, Leica C-Twist, Leica C-Snap, Leica C-Pouch, and Leica C-Case. The Leica C-Clutch is a luxurious clutch handbag with a carrying strap. In light gold or dark red Alcantara with a sandblasted metal closer, it offers two separate compartments with ample space for the camera and other personal belongings. Also in Alcantara and offered in both colors, the Leica C-Twist wrap-around case is attached to the tripod thread on the base of the camera and then simply wrapped around the Leica C and elegantly closed with a magnetic clasp. The Leica C-Snap is comprised of hard plastic and elastic silicone that provides optimum protection against scratches and inadvertent knocks. The Leica C-Pouch is a polished pouch with a fascinating wrap-around design in black lambskin nappa leather. The Leica C-Case, an elegant case in black leather with lighter contrast stitching, also offers excellent protection for the Leica C. Thanks to its magnetic clasp, the case can be opened and closed quickly and ensures that the camera is always ready for action within seconds. This case is supplied complete with a matching carrying strap in black leather with lighter contrast stitching. The C-Hand Straps in soft and supple Alcantara in a choice of light gold or dark red complement the collection of premium accessories for the Leica C and guarantee optimum carrying comfort. The Leica C is the first Leica camera to feature an integrated Wi-Fi and NFC (Near Field Connection) module. This allows the wireless transfer of images and videos to smartphones and tablets via a WiFi connection. To use this feature, all users have to do is download the Leica C Image Shuttle app and install it on their iOS or Android device. The photographer can then connect to a WiFi network and the image transfer can begin. Another highlight of this technology is that WiFi in combination with the app enables remote control of the Leica C from a smartphone or tablet—particularly practical for remote-release photography and shooting with the self-timer. The practical application of Wi-Fi and NFC technology goes beyond the instant transferring of files from the camera to a smartphone or tablet; users are granted the ability to watch images and videos simultaneously on a smartphone, share images instantaneously with a client, review important moments as they happen, upload images and video instantly onto social media, and even monitor different rooms in their homes i.e. where children might be sleeping, playing or (not) doing their homework. The Leica C guarantees images that are particularly rich in detail and is extremely versatile and ideal for every kind of photography—from portraits to wide-coverage shots and capturing the beauty of landscapes. Featuring a high-performance zoom lens, with a range equivalent to 28 to 200 mm in 35 mm format, and an extraordinarily large sensor for its class with a resolution of 12.1 megapixels, the Leica C delivers outstanding image quality, even in unfavorable lighting conditions. Even more creative freedom is provided by a freely programmable ring on its lens. The combination of high-precision optics and a large sensor guarantees outstanding imaging performance and pin-sharp pictures with brilliant, natural colors, clarity and contrast. Thanks to its remarkably fast autofocus and a continuous-shooting mode with up to ten frames per second, the Leica C captures even the tiniest of details. It also offers a wide range of camera functions, various settings, in-camera processing options and an intuitively simple handling concept for flexible and spontaneous photography. This, plus its particularly stylish and elegant compact design, makes the Leica C an ideal companion for all occasions where photos are paramount. The camera’s full-HD video function allows for even more creative opportunities. The 3″ camera monitor offers photographers complete control during exposure and recording. The camera’s integrated viewfinder is an additional aid to composition and assessment of scenes in brightly lit situations. Videos and still pictures alike can be creatively processed either in the camera or with the Adobe® Photoshop® Lightroom® professional imaging software supplied with the camera. The Leica C and most accessories will be available from Leica dealers starting in October 2013. The Leica C-Pouch and C-Snap accessories will be available from December.